Recently I had the honor of being nominated for this award by Gloria Sollecito of Artful Kitchens. Gloria is a lovely lady: smart, talented, and a kitchen specialist. She’s also an artist at heart. I so enjoyed meeting her on the BLOGTOUR-Nola a wonderful event I attended in New Orleans back in 2013. I know Gloria will understand that between kids at home in the summer and one off to college, and a thriving interior design practice, it took me a few months to actually take her challenge and answer all these questions! Without further ado, here are my answers to the ten challenge questions Gloria submitted to her nominees. At the end I will post a list of my own questions and nominees. Here goes! 1) What is the most inspiring book you’ve ever read and why? 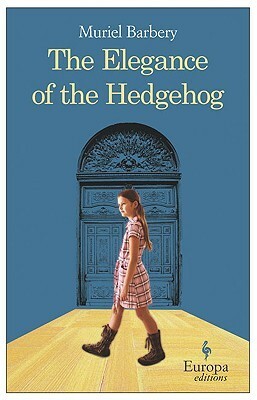 The Elegance of the Hedgehog by Muriel Barbery is one I recently admired. If you can, read it in French, that’s the version I read but I am a native speaker so that does not count! I have a hard time commiting to one single book! I loved the complexity of the characters, the class consciousness theme, the juxtaposition of two very different cultures (French and Japanese), and the references to art contained in this book. I found this book very inspiring as it is very thought provoking and beautifully written. 2) If you could bring just one make up item with you on a trip what would it be? moisturizer but I’d hide mascara in a backpocket. 3) What dish are you known for? I make a mean gazpacho soup! Garlic is vital and fresh fresh basil from the garden a plus! 4) What is the kindest thing anyone has ever done for you and have you paid it forward yet? The kindest thing someone has done for me is to love me unconditionally, and the first person to have done that is my mother. I have repaid her forward and hopefully many people in my life! 5) What is your trade mark design feature? A refined sense of color. 6) What is the biggest misconception about you? That I am an extrovert. I’m really a nerd with a sense of style, and do well in smaller groups! A dinner with a few close friends and good conversation is what makes me happy. Music and dancing with a glass of Prosecco are swell as well! I’ve been known to start dancing in my kitchen with old friends while peeling veggies! 7) What is one food that you detest and would not eat for love or money? Beef tongue. A dreadful culinary reminder of some childhood dinners with relatives in France. 8) What celebrity living or dead in the last hundred years would you like to chat with? Why? 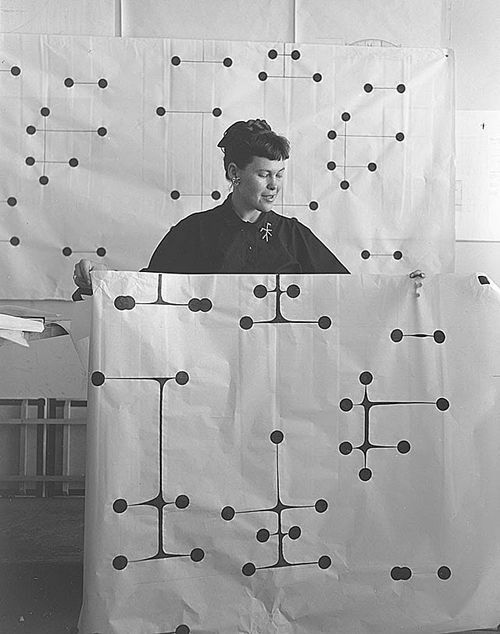 Ray Eames for being a woman designer in a time when it was difficult to be respected as a woman entrepreneur. 9) Do you believe in ghosts? Yes, of course. Don’t you? 10) What aspect of the design process is your favorite? Creative brainstorming and preparing visual mock ups once all items are selected and the client can finally see them together and visualize what they will look like in the space. Lisa Peck of Lilu Interiors. 1/What do you love about blogging? 2/What is your favorite film? 3/Are you a dog or a cat person and why? 4/Which is your favorite interior designer and why? 5/What are you cooking/eating tonight? 6/Who is the person in your life who most inspired you professionally? 7/What do you have on your nightstand right now? 8/Share a favorite travel destination. 9/Tell me your favorite room to design or blog about and why. 10/Do you think vessel sinks are in or out? You can answer the questions but if not, I totally understand and just want you to know that I am a fan and consider you a sister/brother in the World of Bloggers! This entry was posted in Bloggers, Design Process and tagged Award, bloogers, design, Sisterhood of the Worl Blogger's Award by elzabdesign. Bookmark the permalink. Perfect! I love your answers and I can relate on many counts. Thanks for sharing, cherie!